It’s nice to see Disney moving into the 21st century without losing its original charm. Like Toy Story before it the story opens up a new world which seem straight from a child’s imagination, what happens when you leave your toys, now it’s what happens when you leave your video games. The characters are great and really fun with a brilliant voice cast behind each of main attractions. The visuals are great and they blend the different game worlds really well without it seeming like they couldn’t exist in the same place. Whilst the sound was very good for the most part I would have liked more of a memorable soundtrack. I felt massively nostalgic watching this with all the old games and their characters, it’s something I really wanted and I got it. Now let’s close out with the bad guy affirmation. Ralph (John C. Reilly) is tired of being overshadowed by Fix-It Felix (Jack McBrayer), the “good guy” star of their game who always gets to save the day. But after decades doing the same thing and seeing all the glory go to Felix, Ralph decides he’s tired of playing the role of a bad guy. He takes matters into his own massive hands and sets off on a game-hopping journey across the arcade through every generation of video games to prove he’s got what it takes to be a hero. 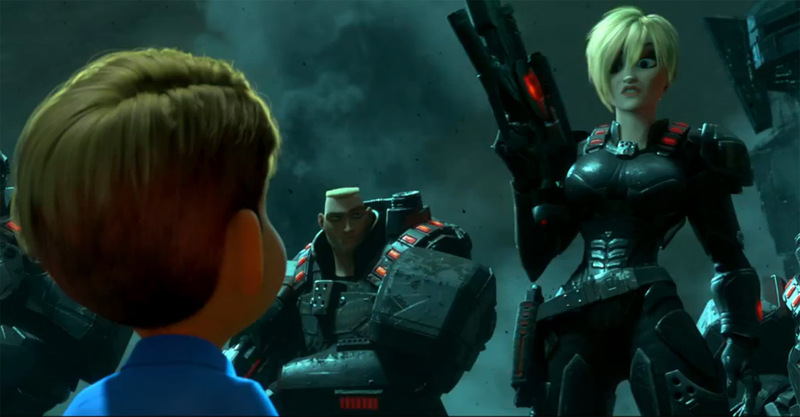 On his quest, he meets the tough-as-nails Sergeant Calhoun (Jane Lynch) from the first-person action game Hero’s Duty. But it’s the feisty misfit Vanellope von Schweetz (Sarah Silverman) from the candy-coated cart racing game, Sugar Rush, whose world is threatened when Ralph accidentally unleashes a deadly enemy that threatens the entire arcade. Will Ralph realize his dream and save the day before it’s too late? Vanellope’s character is insanely sweet I got diabetes watching it, fun though and whilst I don’t know who Sarah Silverman is she played a fantastically fun character and plays off Reilly like they are brother and sister. As for the rest of the cast we have a 30 Rock favourite Jack McBrayer playing Fix-It Felix who is really just a perfect stereotype good guy voice and character but my favourite scenes involved him falling in love with Sergeant Calhoun, Fix-It Felix: “Wow! Look at that high definition face! Sergeant” Calhoun: “Flattery won’t charge these batteries” Jane Lynch was such a fantastic casting choice for the role. Look who I found in the cast just now, Alan Tudyk as King Candy, he is very good with voices. The visuals are as good as you would expect from a Disney production but some key highlights would have to be the hair features are looking really good right now and the spectacular scenes within the game Hero’s Duty clearly trying to define the difference between the modern gaming visuals with some of the more retro games like Pac Man. Something films like this really need is fun and adventure which this film easily gets to do and after watching it you just want to see more of it. Leading from what Toy Story started with what happens behind your toys and games it allows the film to study new worlds and do something very new bringing the good guy out of the bad guy. The style of the film is great and they manage to meld together many different themes without it seeming too dramatic and it allowed the game jumping to seem more realistic. My only real gripe would have to be with the soundtrack which I feel could have been a bit better but still worked very well. And lastly I had to just add this. “O-re-o, oreee-o” – Changing of the guard. If you didn’t laugh watching that scene you are damaged inside. The best reviews I have found would be these “A Who Framed Roger Rabbit for the joystick generation that, despite a mid-act dip into generic Disney territory, high-scores on laughs, invention and 8-bit affection” Simon Crook. “Wreck-It Ralph is the latest in a rash of recent movies fired up with imaginative risk. Director Moore brings a video junkie’s passion to the movie game, and it’s hilariously infectious” Peter Travers. 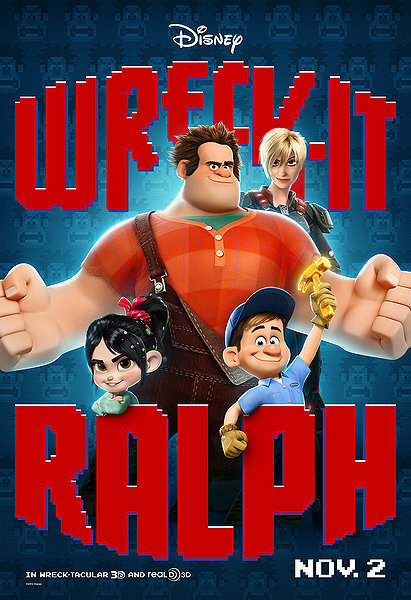 “Warm, witty, wacky and wonderful, Wreck-It Ralph deserves to stand alongside the best of Disney, while also feeling like it wouldn’t be out of place at Pixar’s table” James White. My favourite scene would have to be the finale because it is very moving, keeps you on the edge of your seat and also reveals something that is completely unspoiled by the trailers. It really was a great end for the film and I would like to see more as long as they don’t screw them up. I very much enjoyed this one. probably the best videogame movie ever. I agree that it could’ve benefited from moving to other games than just Sugarland. a fun film. 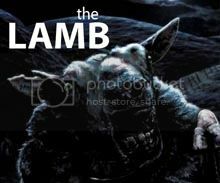 curious what the sequel will bring. Have seen this a while ago together with the kids and I loved it as much as I did. The candy world looked very tasty 😉 The story was cool too. I would devour candy world! Great review – need to see this one soon. I didn’t know Alan Tudyk lent his voice here, I definitely will rent this as soon as it’s out. Sounds delightful! Seems more Pixar’s area of expertise really doesn’t it? I’m getting really quite anxious to see this after reading all the positive reviews coming in! Thanks Luke, glad you liked it as much as me and I agree about the great job the cast did with these characters. So what’s for favourite part? I want to watch this now after reading your review. I heard they got the rights to use Super Mario but wanted to wait and use him effectively in a sequel, instead of a brief cameo in this movie. My kids are dying to see them. Think ill give it a watch with them. Conventional and obvious, but still fun and light-hearted and especially better if you’re a lover or have loved video-games. Nice review Tim. I heard a critic complaining about product placement, he was talking about sonic stuff haha what an idiot! When I saw the trailer, it made me want to play my old video games again. I really ought to see this one. Nice review. Such a great movie, immediately one of my favorites and looking forward to watching it again on Bluray next month. One thing I also think is interesting is that Alan Tudyk chose the Ed Wynn voice for King Candy when Ralph Garman has made that voice somewhat popular among his own fans via his podcast over the past couple years.